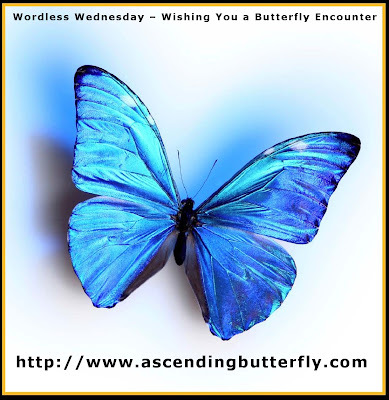 Ascending Butterfly: Wordless Wednesday - Wishing You A Butterfly Encounter! Wordless Wednesday - Wishing You A Butterfly Encounter! @zombie - I can't wait. Seems like Winter has been trying its hardest to hold on, it's been super cold here lately!